CTS group ride May 24 2011. Getting over the obstacles in our way. I ran into Greg (“Club Captain”) while biking in the “Crownland Forest” (thanks for that Greg) on Saturday morning while he was doing some film work. We had a casual chat and he asked that I summarize our discussion on this blog for the membership to read. I have been riding that forest now for over 15 years and have witnessed a huge explosion in the trail network since the early days. 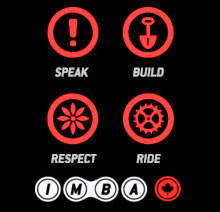 I know most of the trail builders in the area and I’m grateful to them every time I ride there. Knowing these guys I am aware of the growing pressures that are arising out of this forest largely due to the multi-use nature of the trails. The Ministry of Natural Resources (MNR), who manages the forest, has had to hire a full time person just to handle all of the complaints that come from the various user groups of the forest. These groups range from MTB’ers, to equestrians, to geocachers, to racers, to dog sledders, to hikers, to naturalists, to hunters and so on. In fact, it is becoming such an issue now that the MNR and the Couchiching Conservancy are working together to do an intense study of the forest to assess the impacts of these users of this forest. So far mountain biking has been quietly condoned in the forest despite most of the single track not really being sanctioned trails. 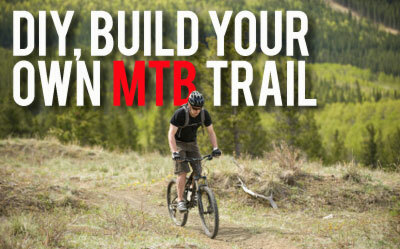 The trail builders have been laying off building any new trail and are discouraging other from doing so as well. As much as we do not want to formalize a group to approach the MNR (insurance/liability issues), we are beginning to think that we can no longer keep our heads buried in the sand. We plan to have some members from our local riding group work with the Couchiching Conservancy to ensure our interests are heard and to support them in their efforts. We also try and limit the publication and promotion of the single track trails in the forest as we do not want any more people, especially capitalistic race promoters, coming in and creating further conflict with all the people who use the forest. Sounds selfish, I know, but until we can get it all worked out it is best to be cautious at this point in time. It sounds like the CTS group has the best interest of this forest in mind and we all look forward to having this “gem” to enjoy for a very long time. Thanks…keep the rubber side down! CTS Group Ride, At Chris Robillard's "Hidden Gem"
Great morning for biking to work. Thanks so much for coming out to the 3rd annual Dock-to-Dock / Bike-to-Work Day! We really appreciate your support. Bike to work day means a lot to everyone at the CTS bike club. Dock-to-Dock / BTWD is designed to increase awareness of cycling to work and promote healthy living in our community. 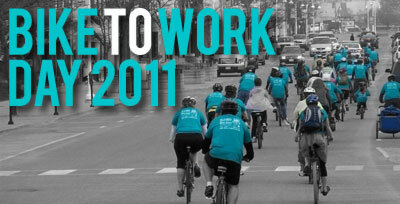 We encourage everyone to continue biking to work even after national Bike-to-Work Week. A special thanks to all our sponsors: The Bike Zone / The Study Pub / 104.1 the Dock fm / Total Sports The Bike Shop / Advanced Foot Clinic / Funktion Design / Graffiti Art / Midland Canadian Tire / Raw CrissFit / OnlyGreen / First For Safety / LabX / Kelly Moss Photography. Wow...this gives you somewhat of an idea of how fast these guys are really moving! For those interested...Some of the downhill runs at "Heights of Horseshoe" are coming along nicely...they look fast and have some pretty intense drops and jumps! CTS Group Ride, Crownland Forest, Devinci Demo Day On behalf of Total Sports & Devinci Bikes the local Devinci Rep took out some demo bike for us to try out during our ride. This past Tuesday night was our Devinci Demo ride, and what an amazing ride it was! First we demoed some brand new 2011 Devinci XC bikes...and then Ken demoed himself! Nick Swyszcz from Devinci brought out some amazing bikes for CTSers to try out during our CTS group ride. There was a full 2011 Mountain Split Pivot line-up; Dexter, Dixon and Wilson. I was able to take out a Dixon for the group rip and man oh man what a ride! I think I'm in love. The bike was so smooth I felt invincible on it. I'm completely set on getting one of these. However, in the midst of my excitement my buzz was killed when I heard someone yell 'rider down!' We all rushed back to the top of the run to find Ken ash white and struggling for breath. Ken had attempted a gap jump and landed a foot too short. 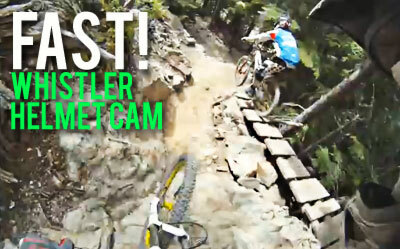 He completely demoed himself and his bike (not a Devinci). It was a good twenty minutes before he could even get to his feet. At this point we realized that we were as far in the bush as we could get and we were starting to run out of daylight. It took a 3km hike and a 20 minute car ride just to get Ken to the hospital. Luckily for Ken there were no broken bones or punctured lungs. Unluckily for Ken he has badly bruised ribs. 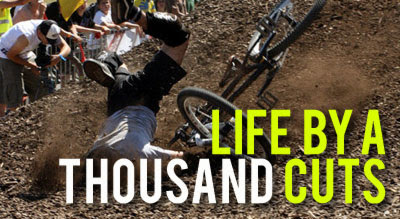 But you know what they say...if you don't fall you're not trying hard enough. From the looks of it Ken must have been trying really really hard! CTS bike club is back for twenty eleven and up to no good. Have you heard? 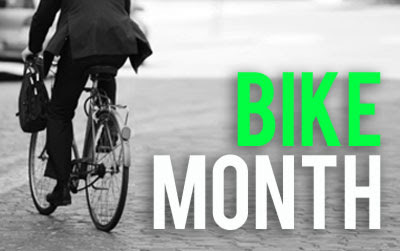 The whole month of May is dedicated to biking. That’s right! May is National Bike Month. So, start pedaling! Can’t make it on two wheels for a whole month? How about just one day? Grab a friend, a family member or a co-worker and participate in a free community biking event together. Check out: Dock-to Dock, Midland Bike-to-Work Day. This event is designed to increase awareness of cycling to work and promote healthy living in our community. The event will be held on Friday May 20th, 2011 8:00am at 104.1 The Dock, 355 Cranston Cres. Midland, Ontario. Cyclists will bike down King Street, “Live-to-air with Meg Whitton” from the morning show and finish at the Midland town docks. I hope to see you there.